Are you looking to buy one of our bar chairs, stools or dining chairs from our fabulous Easy Elegance velvet range but are unsure which of the sumptuous colours to choose from? Buy this swatch pack first and get a flavour for how the colours will look. 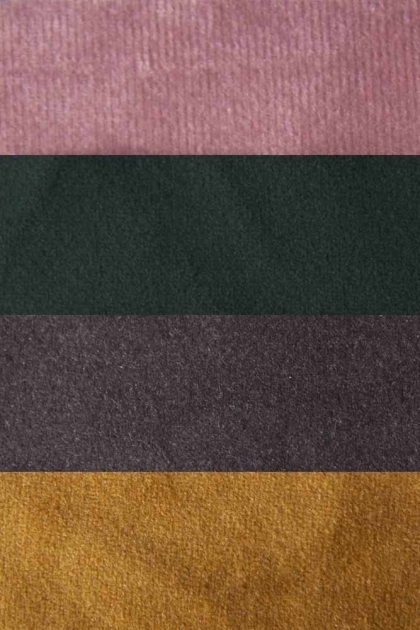 Made up of the four luxurious colours that we have to offer; Golden Ochre, Rich Green, Rose Pink and Mushroom, from our Tall Casino Velvet Bar Chairs, Atlantis Velvet Bar Stools and The Grand Velvet Circular Dining Chair, you'll be able to look at and feel how these colours will fit in your home or work space.